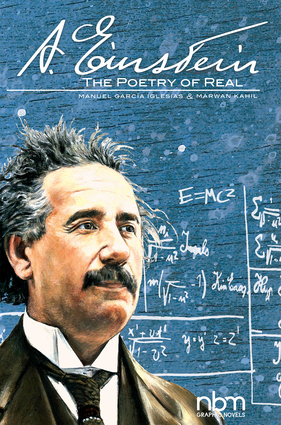 A father offered his son, a five-year-old Albert Einstein, a compass that triggered an irrepressible need to understand the laws of the universe and an iconic scientific career. At first a simple employee of the Swiss Patent Office in Bern, the young Einstein published a series of scientific articles that questioned everything previously understood in the world of physics. His theory, summed up by the formula E = mc2, opened to humanity the doors of the power of the atom. A legendary genius, but also a great humanist, Einstein lived through the first half of the 20th century, with all its horrors and contradictions, in the service of science, but distraught by what man's madness is capable of doing with it. A graduate of the Ecole Speciale d'Architecture in Paris, Marwan Kahil found an early passion for writing. He won a screenwriting competition at the Angoulême International Comics Festival in 2006 and then collaborated with the festival first as an artistic assistant director, then as a set designer and speaker. He is currently working on several graphic novels and comics and on several projects for movies and theater. After completing his first artistic studies at the Kunstgewerbeshule in Zurich, Manuel Garcia Iglesias graduated from the School of Fine Arts in Salamanca, Spain. He has already published several albums in Spain, one with S. Abuli, the creator of the Torpedo 36 series, and another with Ricardo Menéndez Salmon, one of the greatest Spanish writers of today.